“I am really excited to announce launch of new ZilicusPM project portfolio management software. 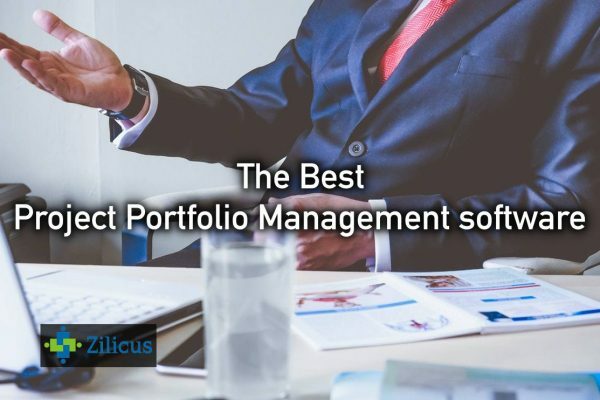 In the latest version we have introduced an exclusive executive project portfolio dashboard for management professionals such as Vice Presidents, Directors of IT/Engineering/Marketing as well as CxOs.’, said Dhan, co-founder of Zilicus. Project portfolio management software – ZilicusPM now provides high-level status for executive management. Brand new, stylish portfolio dashboard has been introduced in the latest version released recently. 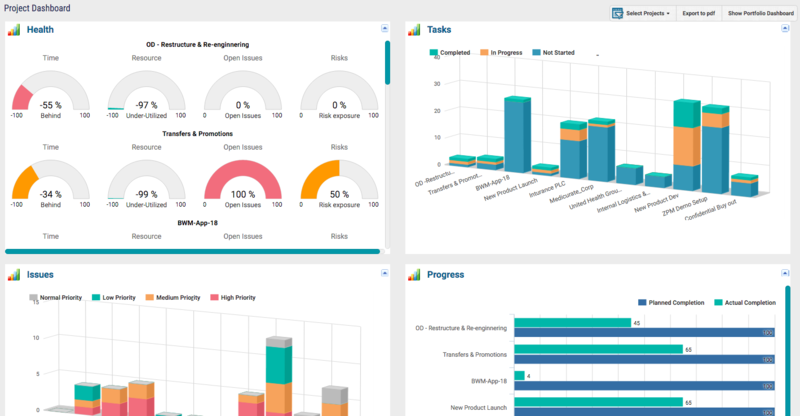 Here are few of the executive project portfolio dashboards introduced recently. 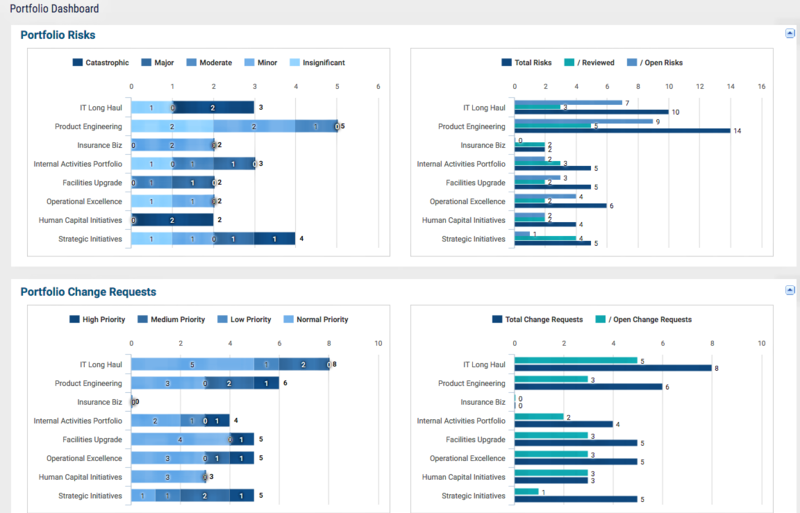 There are also dashboard representing Portfolio Issues, Risks & Changes. 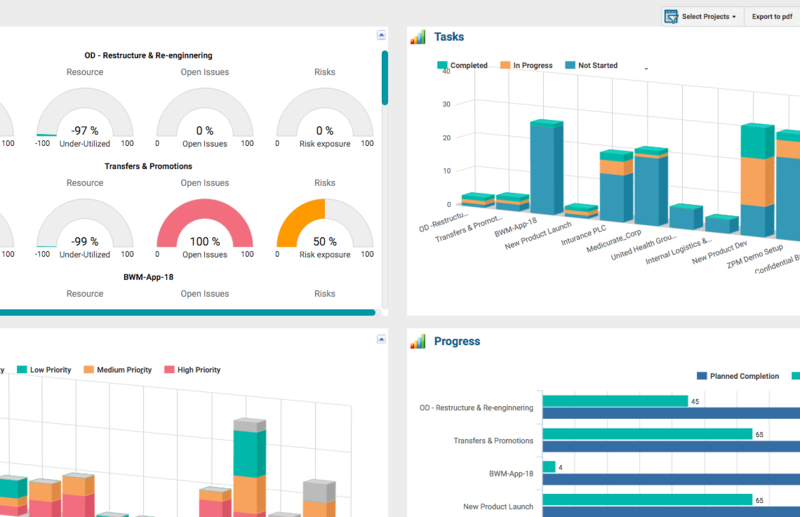 Existing portfolio dashboard is now termed as multi-project dashboard and it is redesigned to clearly visualize the holistic status of multiple projects at a go. ZilicusPM offers some of the excellent features. Have you explored Kanban boards, Meeting Manager, Resource Load/Capacity Planning, Change Request Management and other such features? Let me know if you need any further info or help. We believe, project management is a collaborative effort not an exclusive job of project manager or portfolio manager or PMO, ZilicusPM helps immensely as a central project collaboration and project management platform not only for PMs or PMO but for all team members. 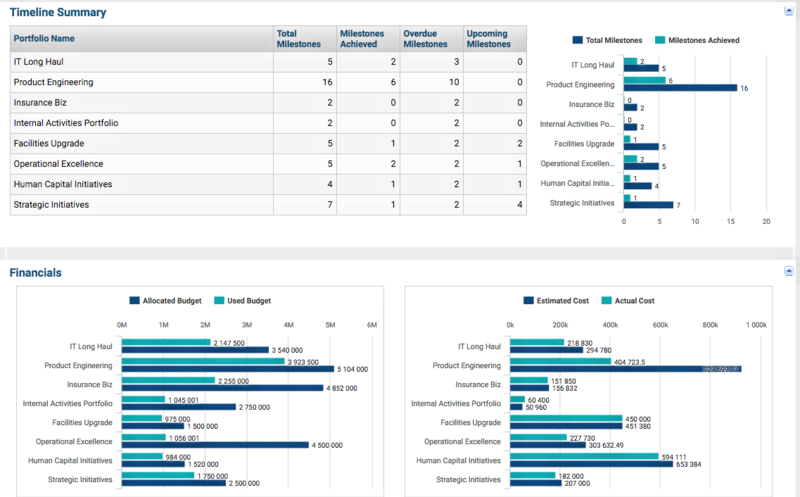 ZilicusPM enables you to set and track KPIs for project managers, Executives as well as KPIs for project team members to track.